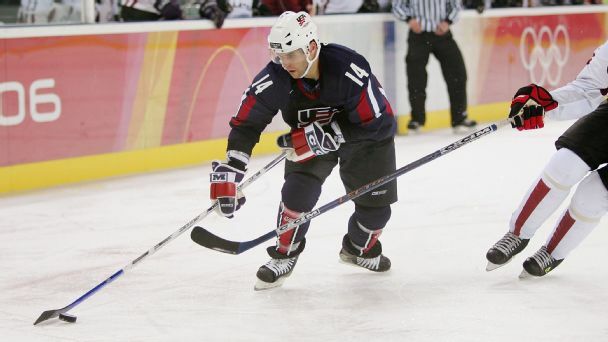 Not since the mid-'90s has there been such an exciting crop of ascending American players, which is why the NHL's decision to skip the 2018 Games -- and whiff on a chance to showcase skaters like Auston Matthews and Matthew Tkachuk -- is so perplexing. While becoming the first player to score four goals in his NHL debut, Auston Matthews reminded Team USA fans that help is on the way. 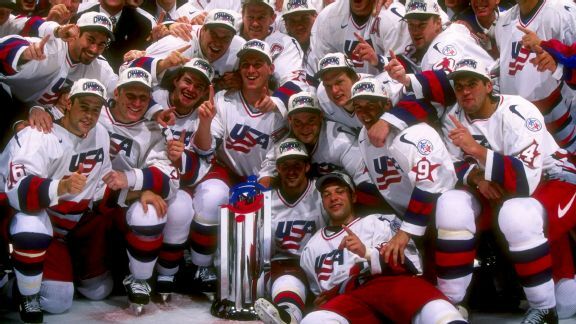 With the puck set to drop in Toronto for the revamped World Cup of Hockey, we revisit one of the seminal moments in U.S. hockey history, when a band of upstart Americans pulled off an epic upset. Hockey Hall of Fame inductee Mike Modano reflects on the highlight and low point of his career, the best player of his era and playing in today's NHL. 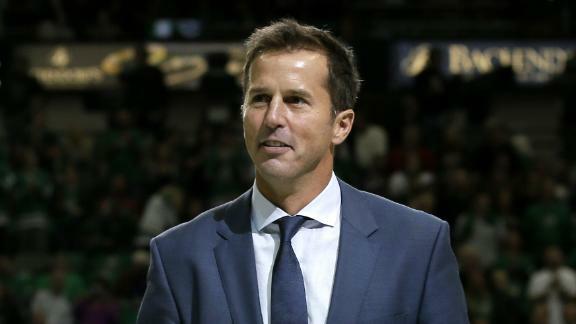 Modano also discusses the future of NHL expansion and how to increase the league's popularity. Hockey Hall of Famer Mike Modano discusses how much recognition he still gets for his appearance in "The Mighty Ducks," the differences between American and Canadian fans, the memorabilia he's kept from his career and his strangest autograph request. 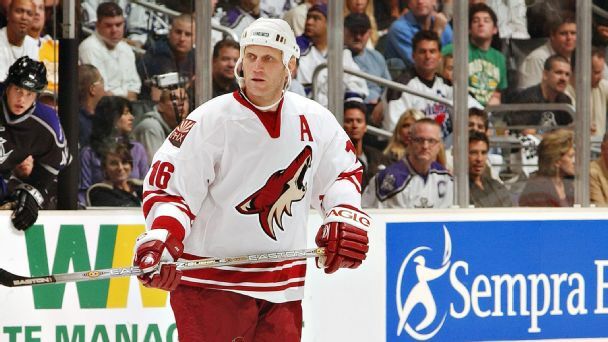 No Dallas Stars player will ever wear the No. 9 again. 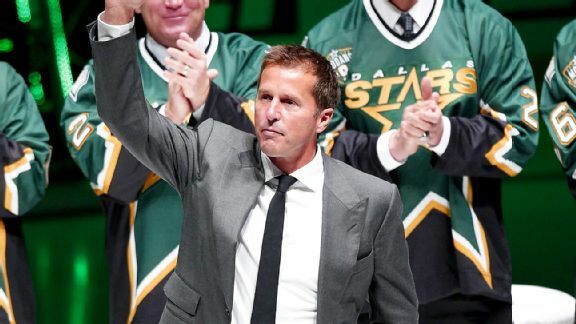 The Dallas Stars are set to retire Mike Modano's No. 9.